On the 4th of April 2018, NATIONAL ELECTORAL COMMISSION (NEC) announced that the former military head of state had won 51.81% of votes cast in the runoff as against a little over 48% secured by his competitor, Dr. Samura Kamara a former Foreign Affairs Minister under the former president Ernest Bai Koroma. Julius Maada Bio, Sierra Leone’s new president as required by law was sworn into office on Wednesday evening by the chief justice hour after the National Electoral Commission (NEC) declared him winner of the March 31 presidential runoff. The swearing in of the president and his vice, Dr. Mohamed Juldeh Jalloh, took place at a hotel in the capital freetown, by chief justice Abdulai Hamid Charm. Maada Bio signed his oath of office and delivered a speech in which he promised to unite the country. His Excellency President Brigadier General (Rtd) Julius Maada Bio has on Tuesday 17th April 2018 committed his government to a new global goal of achieving 12 years of quality education for all girls by 2030 during a meeting at the Queen Elizabeth 11 Conference Centre in London. August 14, 2017 mudslide showed that Sierra Leone had one of the highest rainfalls in the sub region and one of the wettest. Freetown is particularly prone to floods because of uncontrolled and clumsy human activities like deforestation, slum settlements along water ways and hill tops and poor waste management that block drainages and other water ways. The 2017 rainfall, causing mudslides, left the Matormeh Community, just outside Freetown, completely devastated, killing over 1000 people. On Wednesday 27 June 2018 the government of Sierra Leone, under the dynamic leadership of President Julius Maada Bio, has given over Le7.2 billion to 86 households in the affected community at Regent village. State House, Freetown, Thursday 28 June 2018 – His Excellency Julius Maada Bio has today declared his assets before the Commissioner of the Anti-Corruption Commission (ACC), Francis Ben-Kaifala, in line with Section 119 (1) of the ACC Act of 2008. The said section stipulates that: “Every public officer shall, within three months of becoming a public officer, deposit with the Commission a sworn declaration of his income, assets and liabilities and therefore not later than 31st March in each succeeding year that he is a public officer, deposit further declarations of his income, assets and liabilities and also while leaving office”. 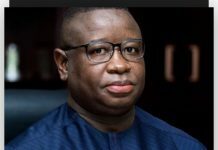 Nouakchott, Mauritania – His Excellency President Julius Maada Bio on Sunday 1st July has signed the African Continental Free Trade Agreement at the 31st Ordinary Session of the African Union Assembly in Nouakchott, Mauritania. The African Continental Free Trade Agreement which was tabled by the Legal Counsel of the African Union Commission, Ambassador Dr. Namira Negm, would break the cross-border trade barriers for productive economic activities among African countries. The signing of the Continental Free Trade Agreement by President Bio is part of his ambitious agenda to ensure not only that Sierra Leone has access to the continental market but also to use trade and investment as oxygen for economic revitalization in Sierra Leone. One of the objectives of the Continental Free Trade Agreement is to create a single continental market for goods and services, with free movement of business persons and investments, and thus pave the way for accelerating the establishment of the Continental Customs Union and the African customs union. Also, the African Continental Free Trade Agreement will look at expanding intra-African trade through better harmonization and coordination of trade liberalization and facilitation regimes and instruments across RECs and across Africa in general. Furthermore, to address some of the challenges at continental integration and competitiveness, two other critical objectives of the African Continental Free Trade Agreement will be: to resolve the challenges of multiple and overlapping memberships and expedite the regional and continental integration processes and to enhance competitiveness at the industry and enterprise level through exploiting opportunities for scale production, continental market access and better reallocation of resources. The African Continental Free Trade Agreement has created a Continental Free Trade Area which will bring together about fifty-four African countries with a combined population of more than one billion people and a combined gross domestic product of more than US $3.4 trillion. His Excellency President Bio’s signing of the African Continental Free Trade Agreement has demonstrated his commitment to increase Sierra Leone’s trade and investment opportunities within Africa, promote economic diversification and accelerate industrial development through intra-Africa trade. 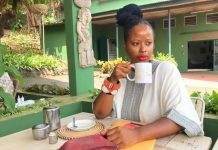 It is projected that by 2030, Africa may emerge as a $2.5 trillion potential market for household consumption and $4.2 trillion for business-to-business consumption. 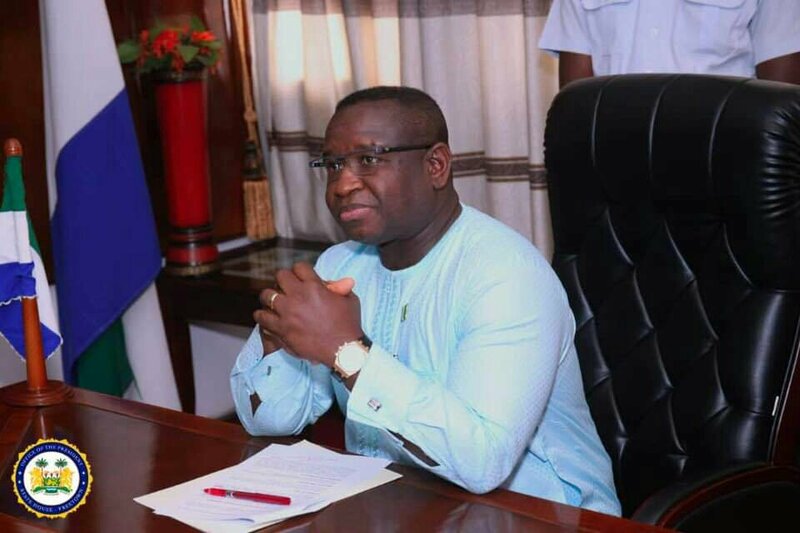 Freetown, Sierra Leone, Wednesday 4 July 2018 – His Excellency President Julius Maada Bio has said that corruption is at a level that can destroy this nation if we do not fight and win. He said this in response to today’s launch of the Governance Transition Team Report at State House. Chief Minister and Chair of the Governance Transition Team (GTT), Professor David John Francis, presented their final report to the President before it was officially released and distributed. The President had mandated the 13-man team that comprises academics, experienced former civil servants and professionals from different backgrounds, two days after being sworn into office on April 4, to interface with the outgoing All Peoples Congress (APC) government, conduct an immediate assessment of the state of affairs and to submit a report on its findings. 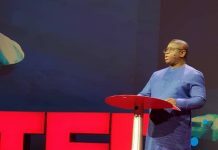 “An astonishing level of fiscal indiscipline and rampant corruption by the former APC Government of President Ernest Koroma had led to the near-collapse of Sierra Leone’s economy by the time the Government of President Julius Maada Bio was sworn into office,” he said. He noted that apart from the fact that 14.4% of the country’s GDP was wasted, external debt was US $1.6 billion, domestic debt was at US$658 million, partly caused by bloated salaries and other compensation for government employees amounting to US $263 million. “Besides, the State’s liabilities as at 30 March 2018 amounted to US $3.7 billion. Inflation as at March 2018 was 17.2% while on the whole economic growth dropped from 6% in 2016 to 3.7% in 2017,” he lamented. He disclosed that as a consequence the APC government was unable to close the fiscal gap and adhere to agreed actions under the Extended Credit Facility, leading to the suspension of disbursement of both budgetary and balance of payment support by the IMF to Sierra Leone in 2017. In his keynote address, President Bio thanked the Government of the People’s Republic of China for their continued support to Sierra Leone, saying that China had been pivotal to the country in its development drive. He added that the new facility would not only help manage infectious diseases in the country but would also play a leading role in the health sector for the entire country. He noted that the new facility would now reposition the RSLAF to better address infectious diseases such as Ebola and other emerging ones. Changsha, Hunan Province, China – His Excellency President Julius Maada Bio on Thursday 6th September 2018, was hosted at the China National Hybrid Rice Research and Development Centre located at Mapoling, Furong District, Changsha, Hunan Province. Welcoming President Bio and delegation the “Father of Hybrid Rice” and principal scientist, Professor Yuan Longping, said that the centre and staff were very privilege to host the President of the Republic of Sierra Leone. Professor Longping said that the centre was established in 1995 and it is the first research institute specialized in hybrid rice development both at home and abroad. President Bio and his team were also told that since Professor Yuan Longping proposed the technical route for super hybrid rice breeding which is combining ideal plant type with inter-subspecific hetorosis in 1997, the centre has made significant progress in super hybrid rice research and the yield targets of 10.5, 12.0, 13.5 and 15.0 t/hm for Phase I, Phase II, Phase III and Phase IV of Chinese super rice breeding. Also Professor Yuan Longping proposed the new plant type model for super hybrid rice breeding in 2012 and developed super hybrid rice variety “super 1000” which reached 16 t/hm in 2015, 17 t/hm in 2017 and now striding towards the target of 18 t/hm.  Professor Yuan Longping said that currently, in order to thoroughly implement food security strategy of storing grains in land and technology, the centre actively explores new rice breeding technology which is green, organic and safe. Longping assured the President that it will be a pleasure to help Sierra Leone achieve food security as much as he can. Responding, President Bio thanked the centre for the warm reception accorded him and his team. He said that because of series of challenges Sierra Leone has not been able to feed itself and importing at least US$200 million of rice every year. President Bio said that his visit to the centre was to learn about the great work they do on rice production and to see how Sierra Leone can benefit from that. “I want to be able to provide an opportunity to feed the nation,” President Bio said. Freetown, Sierra Leone, Monday 29 October 2018 – President Julius Maada Bio has unveiled Sierra Leone’s first Directorate of Science and Technology (DST) at State House, to support government’s delivery on development and boost innovation and entrepreneurship. Chief Minister, Prof. David Francis, who chaired the ceremony and had presided over its creation, said the directorate would use science, technology and innovation to deliver key government’s businesses in the areas of e-health, e-government, e-education and e-security. He assured the gathering that the team of young and brilliant minds would work across government departments and agencies to change the future of Sierra Leone though science, technology and innovation, adding that it would also improve technology, create wealth, boost education and sustainable development and transform the small and poor West African nation. Meanwhile, Chief Innovation Officer at the Directorate, Dr Moinina David Sengeh, said that science, technology and innovation were very vital to solving twenty-first-century problems, adding that scientific research would produce discoveries to improve lives and societies. In his new year message, His Excellency President Julius Maada Bio said that 2019 will be a year of Hope. True to his words, a week after his message, President Bio’s Government is reducing the prices of Petroleum products. The move has been commended widely by ordinary people because it will start to improve the conditions of living for ordinary people. The biggest reduction is on Petrol which reduces from 8,000 to 7,000 per litre. The myth that when prices increase they never reduce has once again been broken by President Bio. In nine months, President Bio has not only increased salary, reduced taxes but also he has reduced the prices of Petroleum Products. In his welcome address, Paramount Chief Fengai Kaimachende of Gbense Chiefdom said he was extremely delighted to host the President and his entourage on the inspection of a project he described as landmark. He said the people of Kono had long yearned for a university in the district that would reduce the burden of traveling to other parts of the country for higher education. * On January 28th 2019, for the first time in history, Pres. Bio has commissioned a Nationwide Airborne Geographical Survey for Mineral Resources. Myohaung Officers’ Mess, Wilberforce, Freetown 18 February 2019 His Excellency President Julius Maada Bio and Commander-in-Chief of The Republic of Sierra Leone Armed Forces, RSLAF, has announced new measures meant to improve conditions of service of the serving and ex-servicemen in the country. “As I have said, your service and sacrifice are unique; your dedication and loyalty, exemplary. It therefore gives me great pleasure to announce a number of immediate interventions to improve the conditions of service of all serving and retired men of the RSLAF who honourably served and are serving their nation.